2352 x Would fumble CHOCOLATE PICTURES - the complete collection \"miracle from all over the world\" in five corresponding albums accommodated, detailed explains with several hundred pictures to different topics, nice explains. These albums were in the years 1929 / 39 published. In this completeness and outstanding quality at rare intervals offered! 2366 ✉ Ships - nice collection of more than 150 old picture postcards with ship motifs in two albums accommodated. Many attractive examples, a nice part I. World war, also colored cards and a few photos. Interesting object! 2381 /✉ Beacons - very nice collection in six red lighthouse ring binder, clean made up with numerous different mint never hinged issues from Europe / oversea, as well decorative documents. Many complete sets, souvenir sheets and so on. From various countries. A wonderful object with very high acquisition price! 2397 ✉ Olympic games - 1936 / 2005, very nice and extensive collection of covers and cards in 17 albums accommodated. Numerous interesting documents, from the olympic act 1936 in Berlin. Many nice cancellations, frankings of different countries, an extensive part olympic games 1972 and so on. Additional still further material including numerous documents packed in a carton. Favorable! 2461 Olympic games / soccer - nice inventory from mint never hinged issues with numerous sought-after sets and souvenir sheets, many unperforated issues and so on. In the ring binder, going through in outstanding condition. As well a nice part oversea. Also many sought unperforated souvenir sheets, so-called souvenir sheets in outstanding quality, are available. The net award amounts exactly 2062,- €. 2469 /⊙/✉ Flower - very nice and rich collection with numerous different issues from Europe / oversea, mainly mint never hinged, partly also used and filigreed with covers and First Day Cover. Many different countries. A decorative object! 2470 ✉/ Olympic games 1972 - very nice and extensive special collection in four safe ring binder formed, all self-designed with numerous extraordinary documents, thereby many interesting cancellations, with a wealth different special cancel, interesting gift booklets, private postal stationery, mint never hinged se-tenants of the Federal Republic, sought meter cancellation and so on. In this richness and variety a rare offer! 2471 /✉ Animals - nice and rich collection \"WORLD WILDLIFE finding\" in seven corresponding black ring binder formed with an enormous amount of material from the years 1983 / 95. 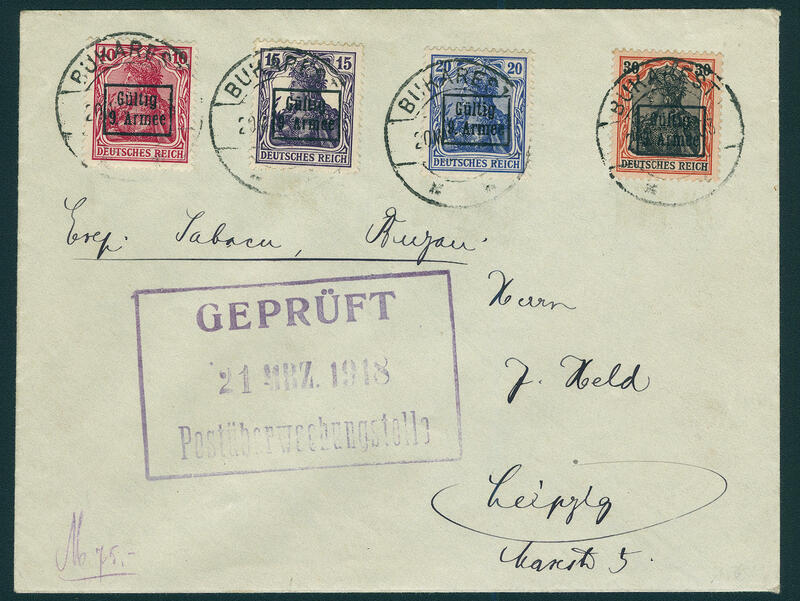 As well numerous issues mint never hinged on illustrated First Day Covers and maximum cards with a strengthened part oversea. Also better philatelic-numismatic covers are available. A magnificent object with enormous acquisition price! 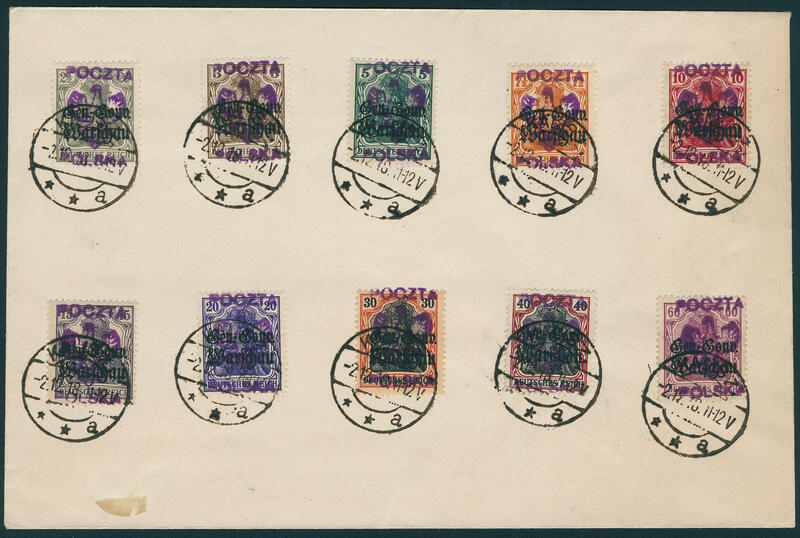 2546 ✉ Roses - lovely lot of approximate 500 covers, cards and postal stationery of different countries with lovely cancellations, frankings, maximum cards and so on, almost only various examples. As well an extensive part sixties years. Hardly ever offered in this richness and variety! 2547 /✉ Animals - 1983 / 92, extensive collection \"WORLD WILDLIFE finding\" in twelve corresponding black ring binder with boxes accommodated. As well are the issues mint never hinged, on illustrated First Day Covers and maximum cards included. A very nice object with enormous acquisition price! 2611 ✉/⊙/ Airmail - extensive topical collection in three thick large ring binders formed, very fine with inscription mounted. 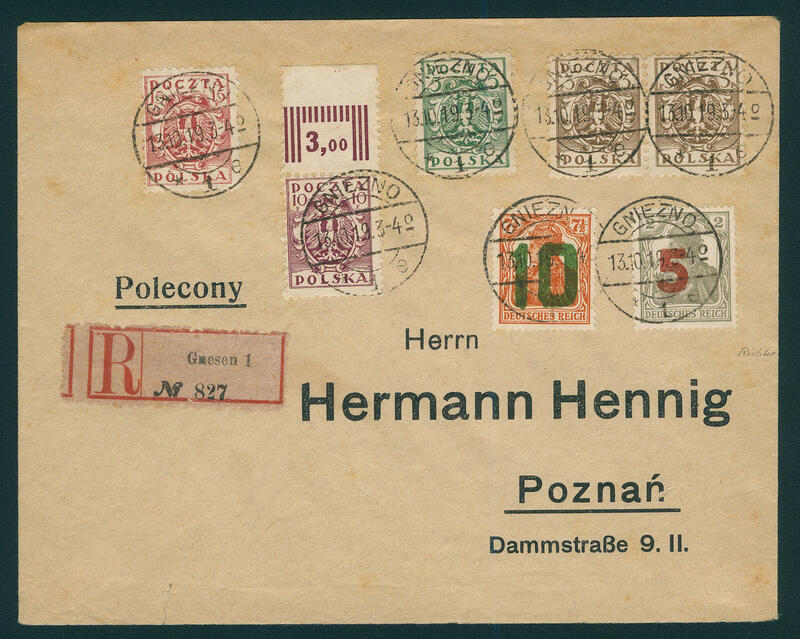 As well an enormous amount of material with many beautiful documents, as well stamps of different areas from Germany, Europe and oversea. With also numerous interesting frankings, first and special flight and so on. With also a nice Zeppelin postcard from airship Victoria Louisa with 5 Pfg. Germania and clear two ring cancel \"DÜLMEN 9.6.12. \" with additional on board cancellation mark, France balloon letter of the balloon \"Franklin\" from 5. December 1870, numerous further first and special flight with older documents, DOX airmail postcard from 1931 and so on. A superb collection this attractive area! 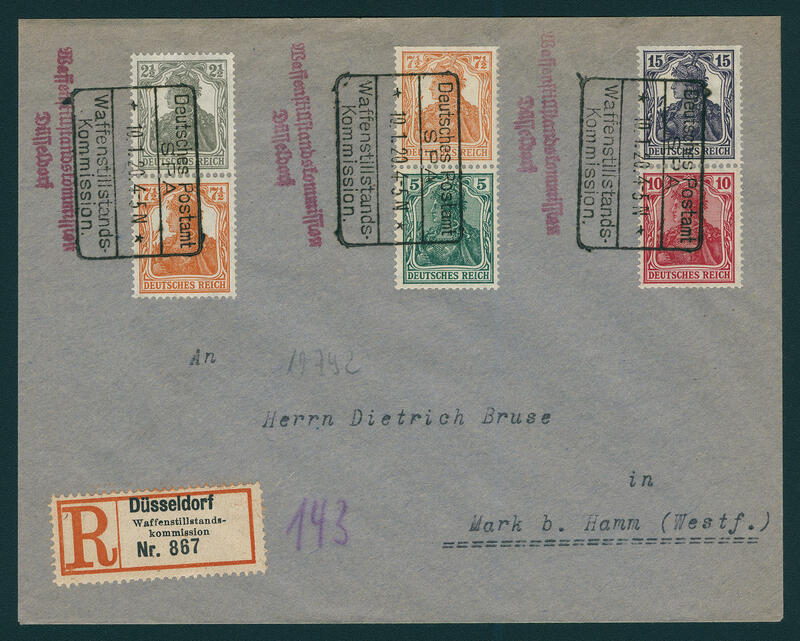 2612 ✉ GERMANIA - interesting collection from covers with Germania frankings in the ring binder. 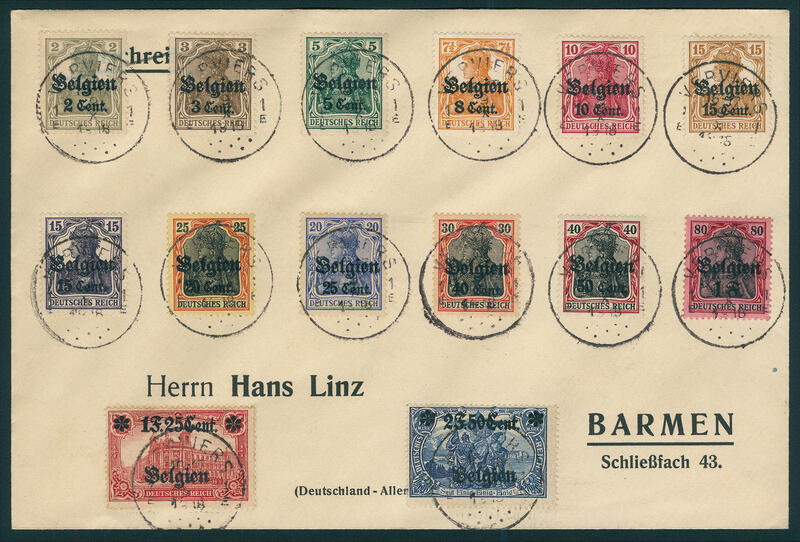 As well attractive documents of different areas, including complete sets, also the Mark values, with attractive part German occupation I. 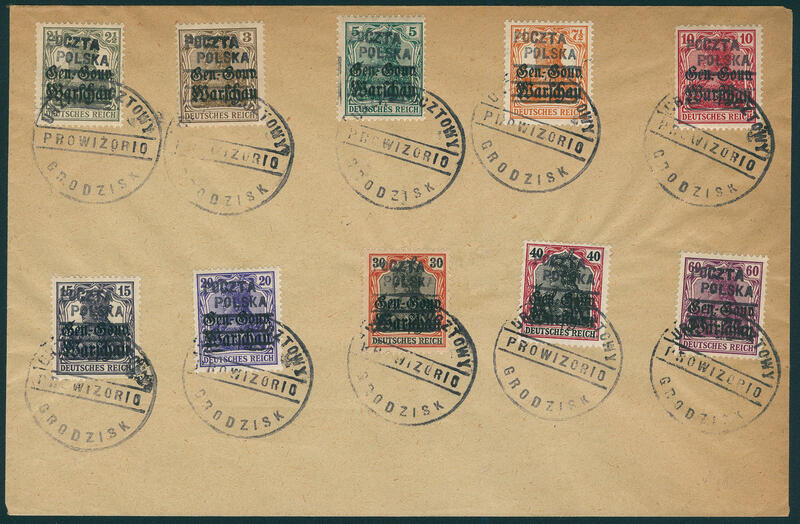 World war, Poland including local issue, partly on letter pieces respectively documents. 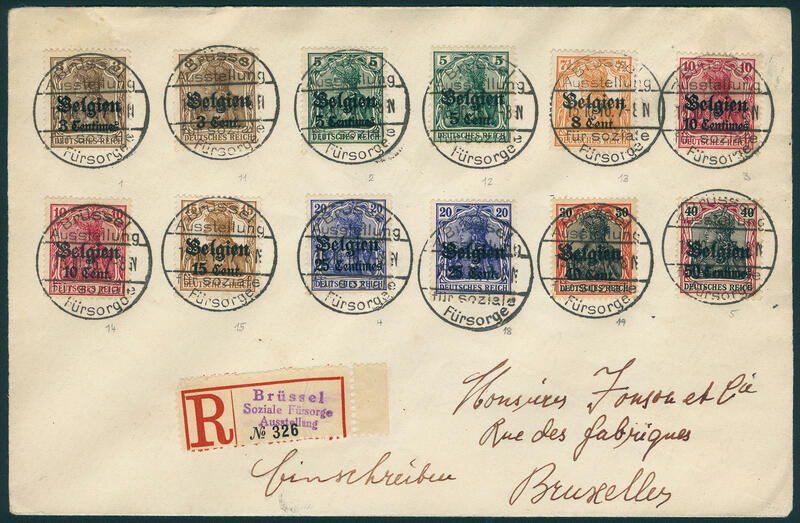 With also scarce special registration note \"BRÜSSEL social care exhibition 1916\", as well \"DÜSSELDORF ceasefire Commission 1920\". An extraordinary object! 2661 Flower - very nice and rich collection, with almost only mint never hinged issues in seven large ring binders and a large stockbook accommodated. 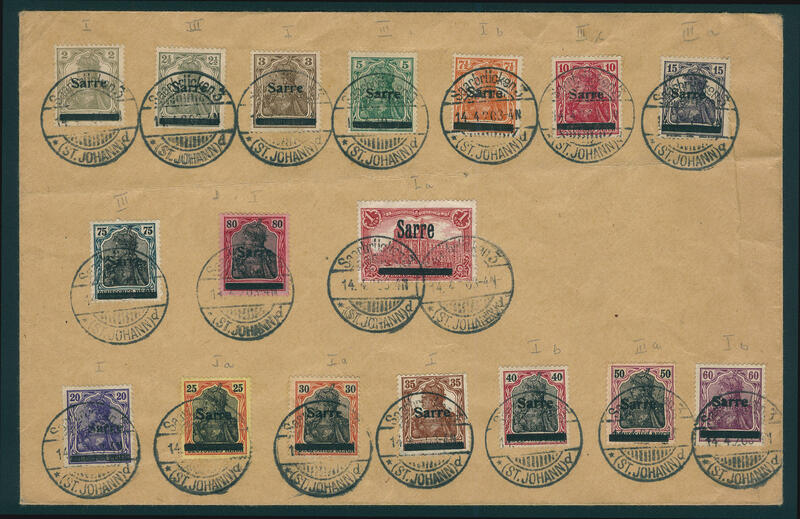 As well numerous popular issues from Europe / oversea with a wealth from complete sets, souvenir sheets and so on, whereby the main value on the numerous issues from oversea lies. A magnificent object! 2662 newFpaper Olympic games 1936 - the OLYMPIA-NEWSPAPER from no. 1 / 30 complete, all original issues in the spring back binder accommodated. Thereby many interesting item and illustrations over the olympic games. In this completeness a rare offer! 3095 25-years throne jubilee - lovely mint never hinged collection from subscription supply in five Lindner ring binders, with exclusive mint never hinged issues from all over the world, souvenir sheets, miniature sheet, stamp booklet, unperforated issues and souvenir sheets, outstanding quality souvenir sheets, gold stamps and so on. Huge subscription price! (former starting price 350,- €).